NEW YORK - Reports came in from our affiliates in New York City that rampaging fans celebrated the Portland Timbers victory over New York City FC (NYCFC) by gentrifying Sunset Park West, a Brooklyn neighborhood. What this place needs is an artisanal salt store. Crowds of ebullient Timbers fans were seen opening slow churn, locally sourced ingredient ice cream stores, artisanal salt stores, and 24 hour robotic kombucha vestibules in the Brooklyn neighborhood. "WOOOOOOOOOO. TIMBERS!" yelled Donald Young formerly of Irvington, Portland who opened up a speakeasy-barber shop-liquor store-record shop-electro dance DJ supply store on 52nd street. Reportedly, the new Portland transfers have taken to informally renaming Sunset Park to Axe Town, as an homage to their favorite sports team. The Nutmeg News spoke to new Sunset Park (Axe Town) residents Tom and Larry Hillsbottle, formerly of the Clinton Neighborhood in Portland, who stated that they finished closing on their new residence and would like to see the gentrification of their neighborhood stop, now. 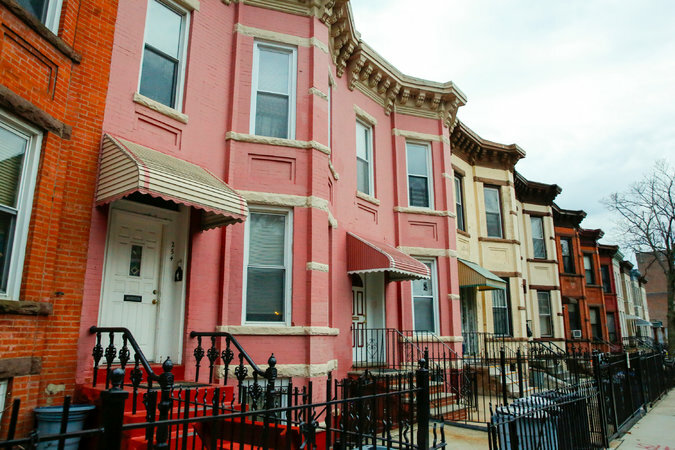 "We purchased this place 5 minutes ago to live a real Brooklyn lifestyle and we feel that it is important to stop demolishing Brooklyn's history. Now that we are here, it's important to keep other people from getting here, including the rumored Voodoo Doughnut New York expansion that we are currently protesting with the sign on our front window that states, 'STOP THE BRUTAL GENTRIFICATION." The Nutmeg News will have more on this as Timbers fans leave Brooklyn for Minneapolis next year.